50 years after learning the truth about climate change, Exxon's climate denial is having increasingly devastating consequences. After weeks of suspense, a gigantic iceberg has broken off the Larsen C ice shelf on the Antarctic Peninsula. The US National Ice Center has called the iceberg A-68, but 10,000 people have named it the #ExxonKnew Iceberg after Exxon's decades of climate denial. The iceberg is twice the size of Samoa and is a window into the future of destruction Exxon and their peers in the fossil fuel industry are unleashing upon the planet. This iceberg could be the trigger that starts the ice shelf's rapid demise and we need to act now to fight climate denial and stop the fossil fuel industry. It should be named after Exxon: We need to make sure their role in causing the climate crisis is not forgotten. 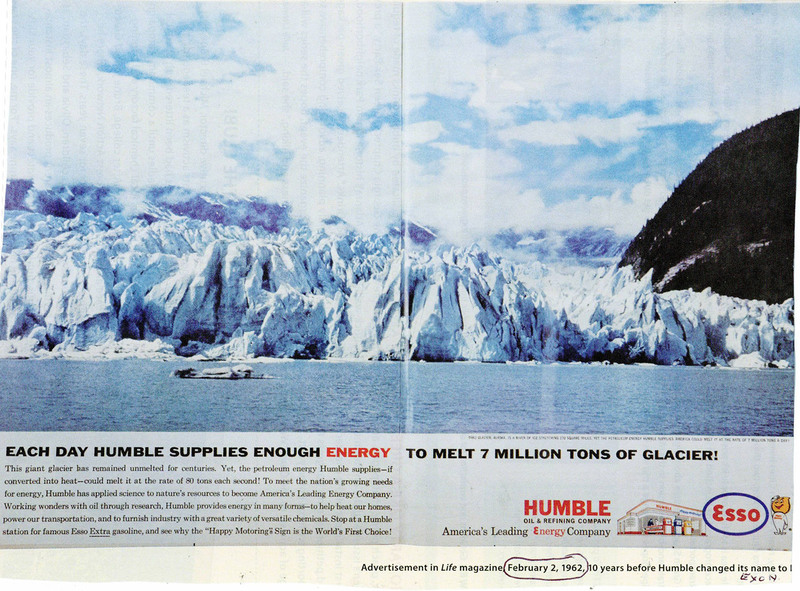 In 1962 Humble Energy, a division of the company that would go on to be known as Exxon, ran a full page ad in Life Magazine bragging about their ability to melt glaciers. They say that time makes fools of us all, but Exxon was more than foolish, they were criminally reckless. What Exxon didn’t tell anyone was that only a few years after running that ad, their scientists warned the company’s executives that CO2 emissions from burning fossil fuels really was melting glaciers, and that it they kept burning fossil fuels that would lead to devastating consequences. And their scientists were right. Climate change is now fuelling instability across the Antarctic continent. The iceberg that has broken off the Larsen C ice shelf could be the trigger that starts its rapid demise. We need to remind the world that Exxon’s climate denial was no mistake. Call on the US National Ice Center to name the iceberg that is about to form from Larsen C the #ExxonKnew Iceberg. Exxon knew about climate change half a century ago. They deceived the public, misled their shareholders, and robbed humanity of a generation’s worth of time to reverse climate change. 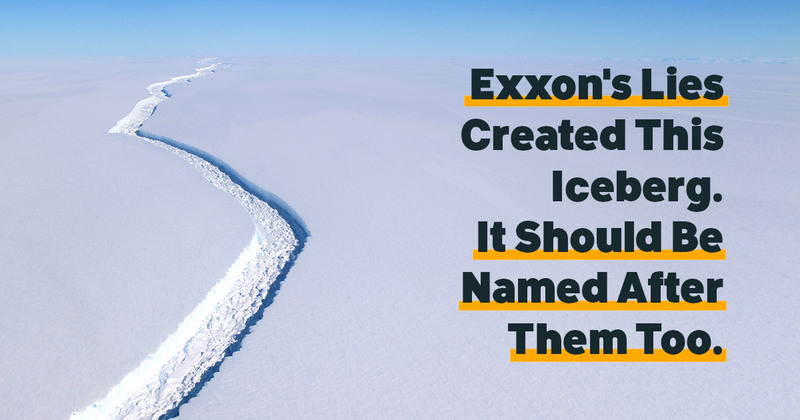 As one of the world’s largest icebergs is about to break off Antarctica, it should be named after Exxon. We need to make sure their role in causing the climate crisis is not forgotten. Thanks for helping to call out climate deniers. We are delivering your message to the US National Ice Center. Help us spread the word about Exxon's climate denial by sharing this action.